The processing of development applications is a factor in the cost of housing. The City is committed to facilitating and encouraging the production, maintenance and improvement of housing in a responsible manner. However, various factors may limit the City’s ability to address its housing needs, such as governmental regulations or environmental considerations. Market factors may also affect the feasibility of building housing or the affordability of housing in the community. Moreover, housing goals may at times conflict with the need to promote other important City goals, including open space or the provision of jobs for the region. Whereas City land use policy and municipal codes provide a regulatory framework for addressing housing, existing regulations cannot address every situation. In order to facilitate the type of development desired and to realize the greatest community benefits, the City’s regulatory framework must be flexible and incentive based. The development review process must be time sensitive, predictable, and thorough. The review process must support long-term community benefits, rather than just short-term gain. Finally, the regulatory framework must contain a broad range of incentives to stimulate desired development and private investment and realize the community features that improve quality of life. A City regulatory environment that balances the need for creativity and excellence in residential design, flexibility and predictability in the project approval process, and the provision of an adequate supply and prices of housing. Incentives. We maintain incentive programs that can be offered to projects that provide benefits to the community such as exceptional design quality, economic advantages, environmental sustainability, or other benefits that would otherwise be unrealized. Flexible Standards. We allow flexibility in the application of residential and mixed-use development standards in order to gain benefits such as exceptional design quality, economic advantages, sustainability, or other benefits that would otherwise be unrealized. Development Review. 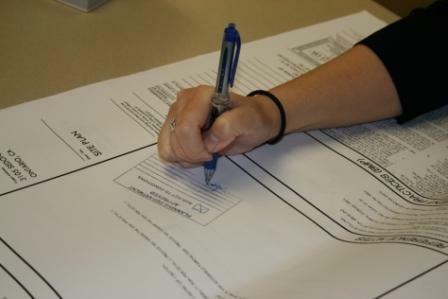 We maintain a residential development review process that provides certainty and transparency for project stakeholders and the public, yet allows for the appropriate review to facilitate quality housing development. Financial Incentives. We consider financial incentives to facilitate and encourage the production, rehabilitation or improvement of housing, or provision of services where such activity furthers housing and community-wide goals.